Yes, I remember Adlestrop – the name, because one afternoon of heat the express-train drew up there unwontedly. It was late June. The steam hissed, someone cleared his throat. No one left and no one came on the bare platform. 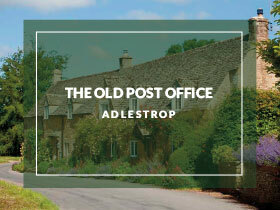 What I saw was Adlestrop – only the name. And willows, willow-herb, and grass, And meadowsweet, and haycocks dry, No whit less still and lonely fair than the high cloudlets in the sky. Farther and farther, all the birds of Oxfordshire and Gloucestershire. Adlestrop is a village in the Cotswolds, lying just off the road between two equally charmingly-named towns – Chipping Norton and Stow-on-the-Wold. The parish lies in the hundred of Slaughter, and deanery of Stow, about three miles northeast from the town of Stow, and 29 miles, in the same direction, from Gloucester. The river Evenlode runs near the western side of the village and the village is pleasantly situated on the slope of a hill fronting the southwest. Famous for a number or reasons: Adlestrop is the inspiration behind one of England’s most famous poems, Jane Austen was a regular guest at the Rectory where her uncle was the rector and Adlestrop Park may have been the setting for Mansfield Park. Home to the Cotswolds most famous station, Adlestrop, on the Great Western Line between London and Worcester, is immortalised in one of the best-loved poems in English literature (see left). But the station that inspired the evocative Edward Thomas’ poem, symbol of a rural golden age that vanished with World War 1, is itself no more. It closed to passenger traffic in 1966 – a plaque on a bench in the village is the only reminder. 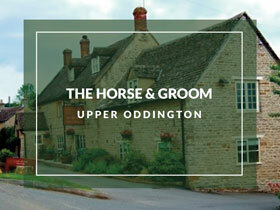 The village of Adlestrop has a great history of equine success. Frank and Cynthia Haydon ran a world renowned hackney carriage driving team from Adlestrop Stables and also a thoroughbred stud, standing successful stallion Idiot’s Delight. Cynthia was the outstanding hackney driver of the twentieth century and she and Frank bred and exported the hackney breed and were a world authority on the subject. Cynthia taught the Duke of Edinburgh how to drive carriages and was an immense character. Frank and Cynthia spent their final years living at the Lodge in Adlestrop. Sir Mark Todd is undoubtedly one of the greatest three day event riders in the history of the sport and he too had great success from Adlestrop Stables. He was voted rider of the 20th century by the International Federation for equestrian sports. He won gold medals in Los Angeles and Seoul Olympics, has won Badminton on four occasions and Burghley Horse Trials five times. As a member of the New Zealand’s eventing team, he won Gold at the World Championships in 1990 and 1998. It was during this time he was based at Adlestrop and won Badminton from the yard. Having competed at seven Olympic games, he is truly one of the great equestrians. 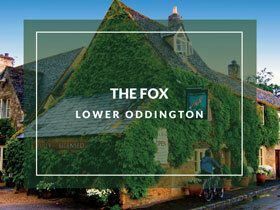 Since Richard has started training there, this sleepy village has been put on the racing map. The village is part of a 1000-acre estate which is run under trust for the Leigh family and its beauty must be seen to be believed.